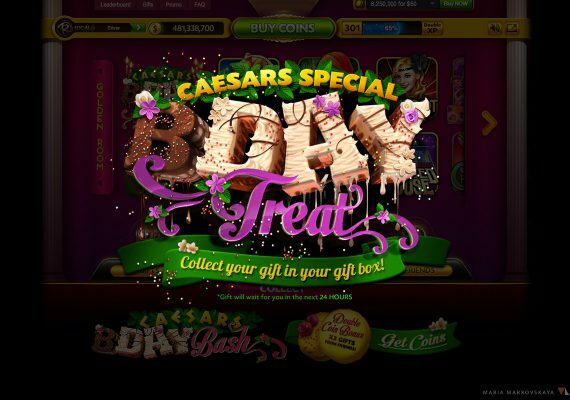 Vegas style illustrations for Caesars Casino – Slot Online. 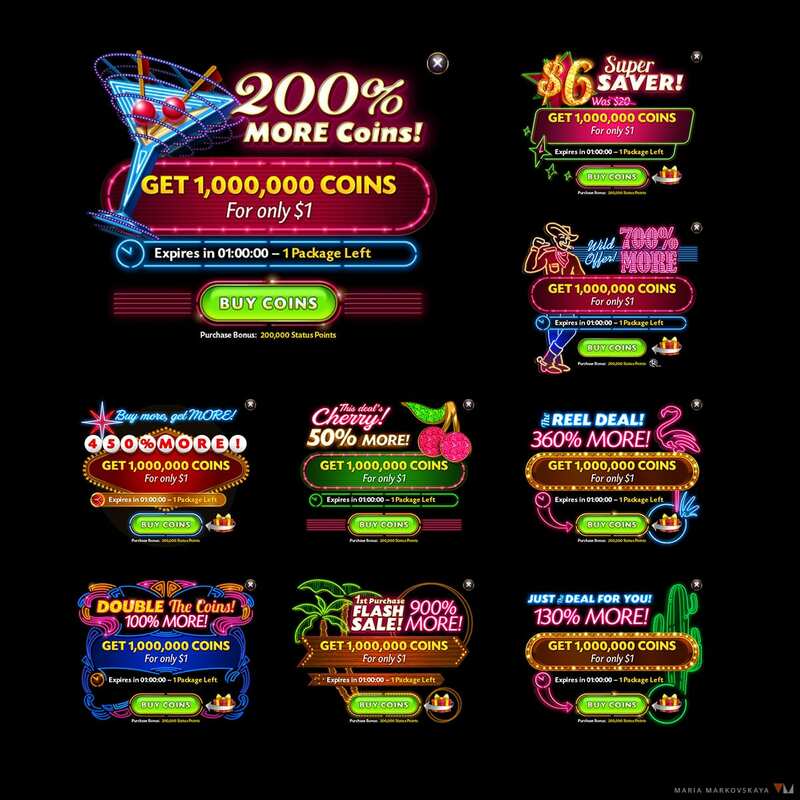 The project contains different kinds of Personal Offers for a few target groups of players. 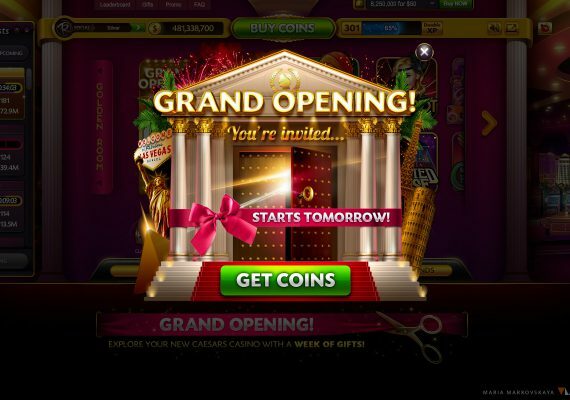 Every Pop up offers player to buy personal amount of coins for a standard price, or discount price for standard coin package.